17th March – Beam me up! 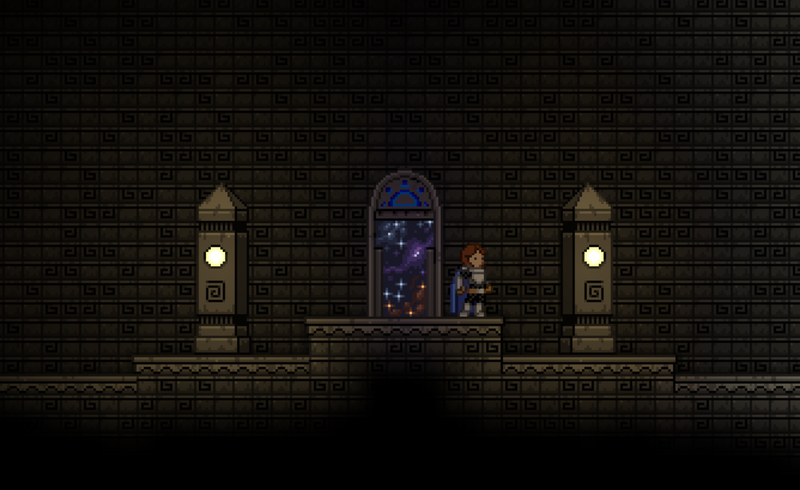 Metadept and SamuriFerret are working together on implementing the underground challenge gates I mentioned yesterday. Not quite there yet, but we’re getting closer! Tiy’s working on combat changes for the patch after the next upcoming one, and he’s also reworked planet names to be more interesting and memorable. Tom and Healthire are still working on pathfinding! Necotho has been working on more skins for the teleporter shop. I think there was a bit of confusion about these yesterday, though! 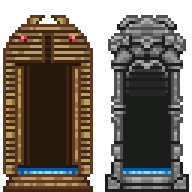 People seemed to think these teleporters would be replacing the teleporters currently on your ship, which is not the case. :) You’ll be able to buy these teleporters from a shop in the Outpost and place them where ever you’d like– you’ll have a lot of styles to choose from, so you can use whatever floats your boat. ← A quick post-Rezzed check-in!